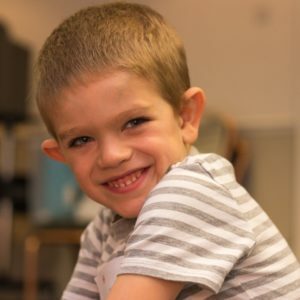 Achievement Center of Texas' Fragile X Syndrome Center makes sure that an individual's unique goals and needs are met. Fragile X syndrome is a genetic condition that causes a range of developmental problems including learning disabilities and cognitive impairment (memory and thinking problems). Fragile X syndrome occurs in approximately 1 in 4,000 males and 1 in 8,000 females. Other names for this disability includes fra(x) syndrome, FRAXA Syndrome, FXS, marker X Syndrome, Martin-Bell Syndrome, and X-linked mental retardation and macroorchidism. FXS affects more males than females. Affected individuals usually have delayed development of speech and language by age 2. Most males with fragile X syndrome have mild to moderate intellectual disability. Children with fragile X syndrome will have anxiety and hyperactive behavior such as fidgeting or impulsive actions. They may have attention deficit disorder (ADD), which is an impaired ability to maintain attention and difficulty focusing on specific tasks. About one-third of individuals with fragile X syndrome have features of autism spectrum disorders, or ASDs. These ASDs affect communication and social interaction. Of course, they are treatable. Seizures occur in about 15 percent of males and about 5 percent of females. Most males and about half of females with fragile X syndrome have physical features that become more apparent with age. These features include a long and narrow face, large ears, a prominent jaw and forehead, unusually flexible fingers, and flat feet. Males will have enlarged testicles, called macroorchidism, after puberty. More information about Fragile X Syndrome Symptoms can be found here. There is no cure for FXS. Achievement Center of Texas’ Fragile X Syndrome Center can help with counseling. The type of therapy that helps is behavioral Therapy. There are many areas of treatment and intervention that can improve the lives of affected individuals and their families. Given the proper education, therapy, and support, people with FXS can make a lot of progress. Most children with FXS qualify for special education services. Therapies will help them become more independent in the transitions from childhood through adolescence, and into adulthood. Achievement Center of Texas has many students with Fragile X Syndrome, and we have plenty of space to accommodate all of your individual needs and goals. Click the button below to begin the enrollment process. If you're not ready to enroll your loved one or yourself into our Fragile X Syndrome Center, please donate so that we can continue offering the best services to each individual student. We want to cater to everyone's unique goals and aspirations. This is only made possible through donations form people like you who care. Please click the button below to begin the donation process.